Ahhh that time when you think this room looks really cool with the sunset... then you realise the natural lighting is so poor that you can't really see anything - the beauty of hindsight right? 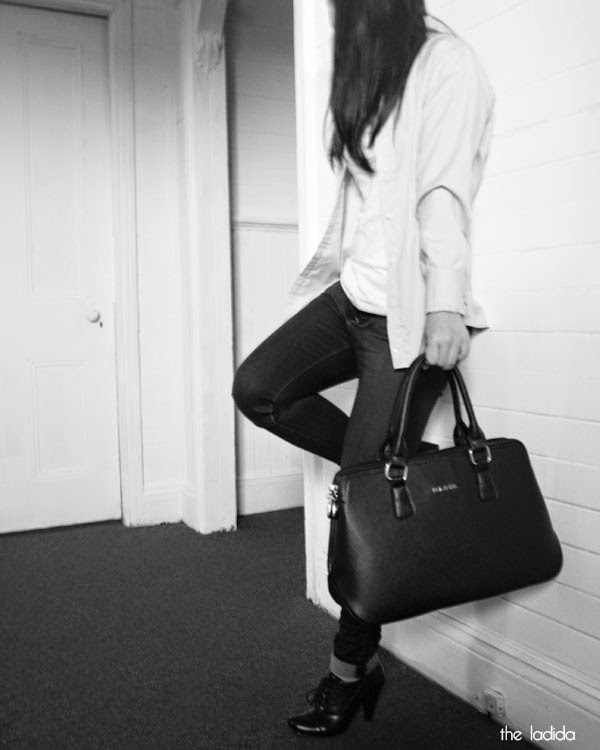 My first venture with this bag was to Fashion Week where it comfortably fit everything in. 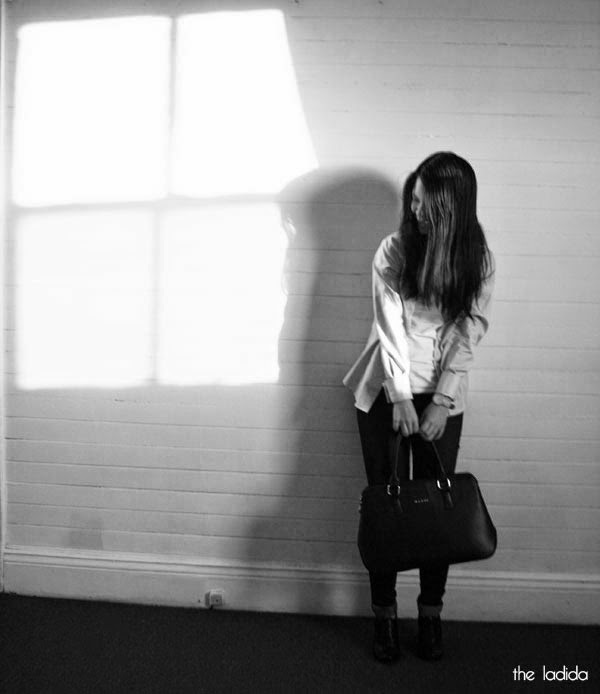 It has two zipped compartments, and a middle compartment held by a button. 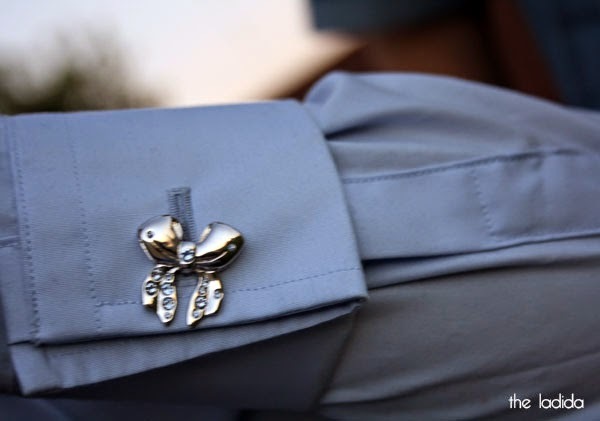 I've actually worn this shirt before for work, it's a Classic French Cuff Shirt from MCM Studio with the cool icing on the cake of these Miss Links which are cufflinks for the ladies. I was pretty happy to be sent these in the Annabelle - Sapphire Bows design as I love bows and it's detailed with light sapphire Swarovski crystals. 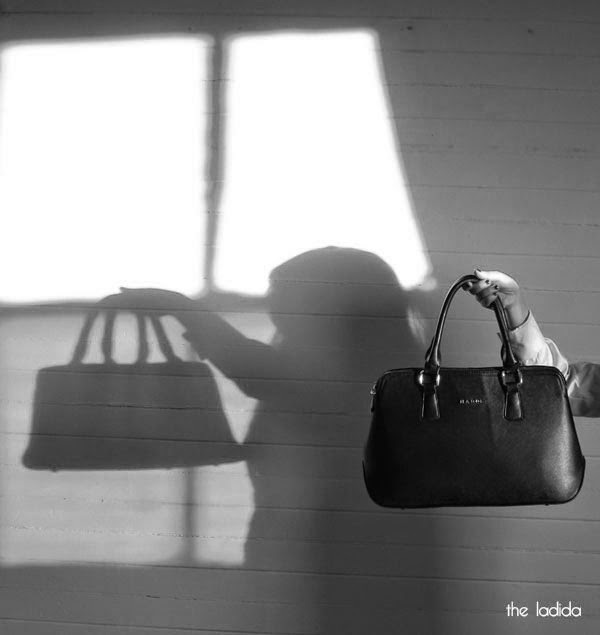 I love the shadow bag picture, stunning effect!